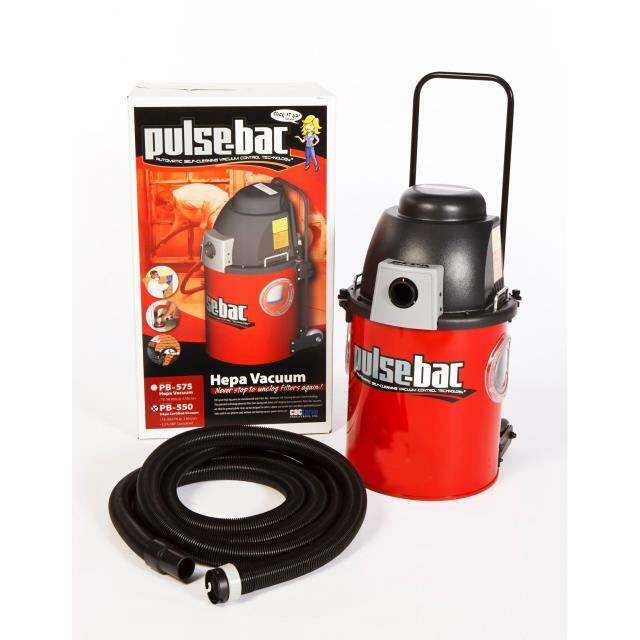 THIS IS A HEPA VACUUM DESIGNED TO BE USED WITH HAND TOOLS AND SMALL GRINDERS. INTENDED USE IS TO CAPTURE, COLLECT AND CONTROL DUST AND FOR EVERY DAY CLEAN UP OF DRY NON-COMBUSTIBLE MATERIALS. THEY CAN BE USED TO CAPTURE DUST FROM LEAD PAINT, CONCRETE, DRYWALL, STONE, MASONRY, WOOD, FINE POWDERS, ASBESTOS, FIBERGLASS, PLASTICS AND METALS. SELF CLEANING FILTERS DO NOT NEED A BAG. * Please call us with any questions about our vacuum pulse bac 550 red rentals in Lake Charles and Moss Bluff LA.